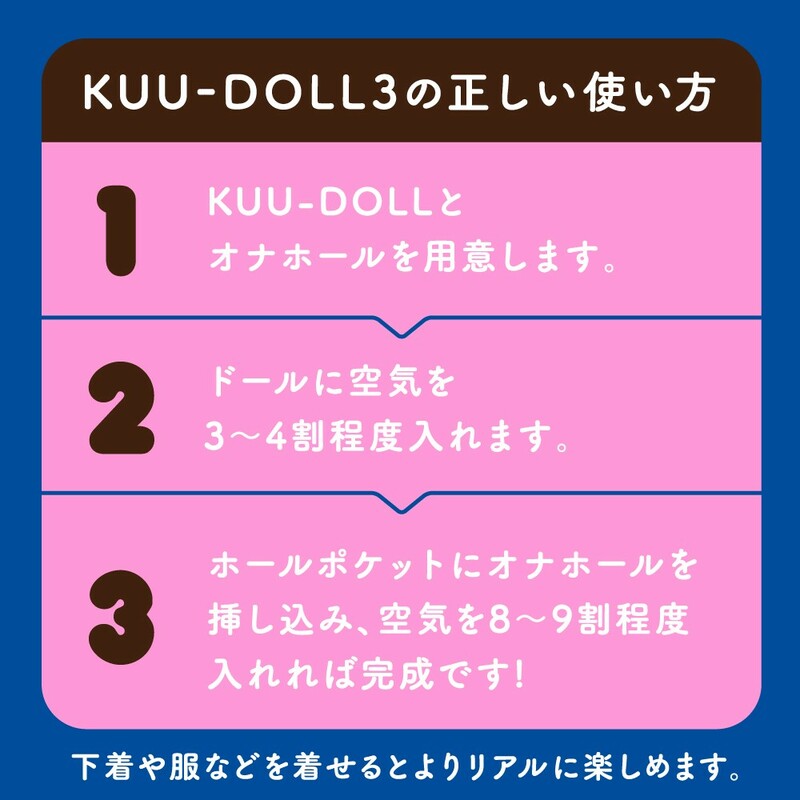 While I haven't tried all the kuu dolls, I have tried a few and other air pillows. The biggest issue with them is that there is some issue that varies between each one. For example, some of them have a bad airhole. (Hard to blow air in, hard to take air out, air leakage.) Other issues include not being able to maintain it's shape for the same reasoning of leakage. Pertaining to this one in particular, the biggest issue was that the position/structure of it hole. It just didn't feel that great. If they just work on the build quality and position, it can definitely be better, but the current ones are definitely lacking. The price was alright, got it at a discount a while back. Overall, it holds well as a starter air doll, but don't expect too much. Not to mention it can be a hassle if you're just looking for a quickie.